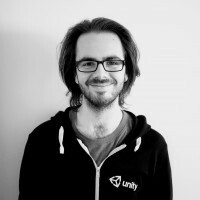 Harry is a Brighton based programmer currently working as part of Unity's Sustained Engineering team. His main interests are in systems and tools programming, as well as performance and optimisations. Prior to Unity, Harry worked within the Indie scene on the upcoming game "Off Grid", as well as working on AAA Mac, Linux and Android ports for Feral Interactive. Past projects include: Alien: Isolation, Grid Autosport, DiRT3 and Black & White 2. Assets are at the very core of any Unity game, and yet the asset pipeline can be one of the most opaque systems to developers. In this session, one of Unity's internal developers will deep-dive into the process your assets will go through from being dragged into the project window, to being loaded by the engine when you hit play. This session will also feature a low-level look into how assets, dependencies and scenes are represented within Unity and how you can use a deeper understanding of these systems to improve your game’s performance and your studio’s development experience.